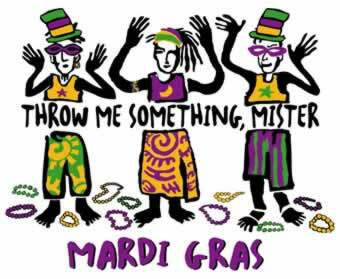 Mardi Gras was yesterday and it’s time to “Throw me somethin’, Mister,” in the parlance of the crowds to the krewes. Today the call is going out from True Stories Well Told and it’s not plastic trinket “throws” I seek, but your stories, true and well told. That’s a writing technique called “borrowed interest” and I’m not ashamed to stoop to it to fill the digital pages of this blog. I publish writing prompts, book reviews, and stories from my own life, but my favorite content is YOUR stories. Here are the guidelines. Now throw me somethin’, Mr., Ms., whoever you are! Send your stories to sarah.white@firstpersonprod.com. This is the seventh episode of a memoir that is unfolding, one chapter each month, here on True Stories Well Told. Stay tuned for more of the adventure as teenage Suzy’s family moves to Europe, builds a sailboat, and takes up life on the high seas circa 1961. Click here to read the earlier episodes. I met a young German boy, Joachim, who came to the Quay every day to work on his suntan and swim. He spoke Italian and German so we had no way to communicate except smiling and gesturing. Although he was older than I, he seemed interested in knowing me. If I was the first to arrive, he always put his towel next to mine. He smiled and I, ready to move on to a new relationship, smiled back. One evening, a group of us including Hank and Carl walked to town to see a movie. In the center of the town’s plaza, benches lined the square. They faced a wall, and I realized the wall was the screen. Joachim and I sat next to each other. I noticed Hank had seated himself next to a girl with whom I’d been visiting on the Quay. The smell of roasted pipas coming from the vendor’s stands filled the warm night air. The vendors roasted these sunflower seeds on small hot burners in their carts. They put them in a paper cone and salted them before handing them to the buyer. Everyone popped them into their mouths eating the seed and spitting out the shells that fell everywhere. The projector started with a rattle, a whirring sound, and the wall came to life. Here in Spain in an outdoor theater set up helter-skelter, we sat on hard wooden benches, the actors on a stucco wall saying things I can’t understand. Sitting next to a German boy with whom I couldn’t speak, I felt dazed and out of place, but I still enjoyed the differences. After the movie we walked to the café for cokes, then walked home in the darkness. Upon arrival at our villa, Joachim maneuvered us to a secluded spot to say goodnight. The next thing I knew his tongue was in my mouth! What was this guy doing? John kissed me twice, but both times it was only a peck on the lips. This was something entirely different. At first, I didn’t like it. How long would this go on? How could I make it stop? This must be what everyone back home talked about — French kissing! It wasn’t all bad, but just as I was getting the hang of it, he pulled away. He gave me a hug and set off into the darkness. I never saw him again, but he left me with an experience I thought might come in handy later. I wouldn’t be so clumsy if the opportunity arose again. He wrote once, but in German. I kept it, hoping to find someone to translate it for me. This island reminds me of Harry Bellefonte’s song “Island in the sun where people have toiled since time begun.” This song is about Jamaica, but it is Mallorca, too. Time seems to stand still here. Everyone who has a car is driving a Model T or Model A from the ’30s and ’40s. No one has television. There are no phones, washing machines, or dryers in the homes. Our maid washes the laundry by hand for our entire family of nine including our bed sheets. Everyone seems happy, though, and they have fiestas for almost no reason at all. Fireworks flash from across the bay in the night sky. We watch them from our terrace wondering what they are celebrating. The family settled in to our daily routine. Mom, Jan, and I purchased our food in the local markets. We learned hard lessons discovering the difference between pounds and kilos, having to eat green beans for days because we purchased too many. Mom tackled the gas stove and took over cooking the evening meals. We shopped at the carniceria (butchers) to buy our meat. The meat hung on hooks. Half a cow, lamb, or goat just hanging there frightened me, but Mom hardened herself to order by pointing to the animal part she wanted, leg of lamb or breast of chicken. She soon learned to say carne picada (hamburger). The first night she made hamburgers, my little brothers screamed with delight. There were difficult times adjusting. Tommy and Hank quarreled, having to share a room, and soon the quarrels broke out into real fist fights. Dad spent most of his time in Puerto Pollensa and Mom found it hard dealing with these fighting boys and keeping them apart. My parents sent Tommy to Palma for a course with the Berlitz language school. He lived in a pension in Palma for six weeks and spent his days learning Spanish. Mom and Dad wanted someone in the family to speak enough Spanish be able to communicate. At the shipyard where Dad was planning to build our sailing boat, they only spoke Spanish. He needed someone to translate. Dad came home from Palma one day with a “Sailfish” for us to use in the bay. It was a sailing boat without sides so if we made a mistake sailing, we slid off into the water. It had one big sail and a rudder and centerboard. Dad wanted us to learn the basic elements of sailing from this little boat. At thirteen feet long and three feet wide, it only held two people. If we tipped over, we had to hold on to the side, standing on the centerboard. We needed to slowly, ever so slowly, let the water drain out of the sail. Then we tipped it upright. If we rushed it, the weight of the water in the sail might break the mast. It didn’t take us long to learn how to keep it upright. Carl was the first one to become an expert at handling the little boat. He spent his days on the sailfish while the rest of us sunbathed and swam from the Quay. One day I noticed Carl wasn’t sailing alone, but had a young girl with him. She was French and only spoke a few words in English and Carl no French at all. Her name was Martine. Each one of us found ways to make friends and sweethearts. Jan came with Hank and me to the Quay occasionally, but usually stayed near the villa or trekked into the hills with Conrad searching for adventure, which he found one afternoon at home. “Help, Mommy,” he ran out on the terrace where we were sitting with his hand dripping blood and an awl sticking out of the middle of his palm. He’d been drilling a piece of wood, making a model boat, when the awl slipped. Dad jumped up and carefully pulled the awl from his hand. “We need to take him to the doctor to see if he needs stitches,” Mom stammered. “I won’t be able to understand the doctor, but I guess if we take the awl, we can make him understand what happened.” Conrad got a tetanus shot and came home with a bandaged hand, the hero for the day. On the afternoons when Dad was home, he met the local men at the café on the waterfront. He had a way about him that made others eager to know him. It didn’t hurt that he was always happy and willing to buy the drinks. He didn’t speak much Spanish, but Dad adapted well to making himself understood. He occasionally drove the van filled with these men to Palma for a day of eating and attending the bullfights. I realized, for the first time, how much of a man’s world my dad lived in and how he enjoyed it. Mom stayed at the villa on these afternoons keeping an eye on the younger ones and watching the world go by from the terrace with her binoculars. One day, Dad announced that these local men wanted to take our whole family out to the Island of Dragonera, near Puerto Andraitx. They wanted to make paella on the beach for us. This morning I’m staring down a deadline for Chapter 9 of my book, working title The Soulful History of Glory Foods. This is the last chapter I’ll write under the guidance of a mentor in my Big MFA Adventure through the University of King’s College in Halifax. Next month I’ll do a rewrite of my book proposal, and then–I’m hatched into the world, a fledgling Serious Author of Creative Nonfiction! Sadly, the tradition of parading with a bagpiper before the ceremony has been discontinued this year. My bad luck! I may have one or two spots open, so read on and see if this writing (or not) retreat sounds like the adventure for you. For May 20-23 we’ll be based at Windhorse Farm, a bit more than an hour south of Halifax, just down the road from the world-famous Peggy’s Cove. Read more about Nova Scotia south shore tourism here. May 23-25 we’ll move to University of King’s College, our base for exploring Halifax. Of course, you’re welcome to watch me don a robe and get my diploma, but no pressure–if I were in Halifax for a couple of days I wouldn’t want to waste an afternoon in an auditorium. Some of us want solo writing time, some want to workshop a piece of memoir or family history, and some just want to relax and be tourists. I’ll orchestrate the experience you’re looking for. Personally, I think it’s an excellent opportunity to practice travel writing, opening your senses to the contrasts between our country stay and bustling Halifax. $700 for lodging and transportation. Price includes most meals while at Windhorse Retreat, breakfasts while in Halifax. Deposit $350 due March 15, balance due May 15. I love that the shrubbery includes an apostrophe. I hadn’t seen Mr. Peck in many years. He seemed an old man then because in the eyes of the young all grownups are old. When I was a child, he lived two doors west and when I passed his house on my tricycle and he was in his yard, he would wave and call out a hello. I mostly picture him with a hoe scratching weeds from the cracks in his sidewalk. He was a tall, thin man who was missing his right arm at the shoulder and I was not afraid of him. As far as I could tell from the seat of my tricycle he seemed to get along quite well without it. The weeds were always cut short. I hadn’t given Mr. Peck much thought in at least thirty years after I left Pinhook. For the young, old people often simply disappear with little or no notice. One day they’re there and the next they’re gone. The day after I graduated high school I left town. My last stop was the post office where I mailed a letter to Addie, a girl I loved and of whom I was afraid. I met Mr. Peck on his way out. I held the door for him. We talked in the morning sun. I was about to say goodbye when he tapped my shoulder and asked if he could buy me a cup of coffee. One for the road he said. I begged off. I told him I would catch him the next time I was in town. He smiled in the bright sun. A puff of air caught wisps of silvery hair and they danced a step or two in the light. Be sure to do that Mick. I’ll be here. He patted me on the shoulder again with the letters in his hand and our eyes met. You’ll find your way son, I know it—might take a while, but I know you’ll find what you’re looking for. After I left Pinhook I didn’t really think of Mr. Peck or of the old folks I had known as a boy. I lost touch with people who once stood large in my life. It was thirty some years later Mom told me Mr. Peck lay dying in a nursing home. I remembered him as a good and gentle man because he took time to talk to me when I was a child. Adults who give time to children are not forgotten. The last time I saw him was on the sidewalk in front of the post office. His smile, blue eyes bright in the morning sun and glistening wisps of silvery hair. I was moved to go back to see him. It was a way to tie up a loose childhood end. I didn’t know why I was so moved except to follow up on a long ago promised cup of coffee. It was important I see him. Aunt Mertie’s tidy house and side garden were drenched in golden sun.Before the heat of the day, wrens warbled their bubbling exuberance across the village while cardinals called ‘wha-cheer-cheer-cheer’ from telephone lines overhead. As I passed, I heard her broom scratch softly across the red bricks of her back walk, then the tired creak of a screen door as it thumped softly leaving her calico cat basking in the sun on the wooden porch floor. The tip of his tail twitching. At Barnett’s across the street, his old brown and red rooster crowed from atop his coop. A car, somewhere in the distance, backfired. When I felt the late sun burning the back of my neck, I realized I had spent the day immersed in his stories. Words began to blur on the page. It was time to quit. One more thin binder of stories to read would keep until tomorrow. I put everything in the trunk and sat back in my chair. Bright new leaves were emerging on the sycamore tree above me. Lilac wafted from the parsonage next door. The images Mr. Peck created in his stories flowed smooth through my mind no doubt aided by the effect of a couple slowly sipped glasses of bourbon. I had traveled almost a century back in time—his stories were that vivid. And through them I got to know the tall, kindly thin man with one arm who took time to talk to a little boy on a tricycle those years ago. A day immersed in his stories stirred something in me that had lain dormant for years. In my long ago flight from Pinhook I left everything behind. Over the years, when I thought of my childhood and youth at all, it was like looking at random black and white images lit by the flashing of a strobe. A surreal quality to them. Mr. Peck—my sister—school—the town square—brick streets—tractors pulling wagons of corn to the elevator—Addie who I loved and feared. For years shattered images like those flashed through my mind only rarely. They always left me wanting more. There was something, some vague thing missing in me and I mostly ignored it until I heard of Mr. Peck—spent and dying in a nursing home. His memory surfaced and wouldn’t let me loose. I felt like a salmon swimming upstream to a remembered place. I believe it was the memory of him; the man who showed kindness to the little boy on the tricycle. He had time for me and when I heard he was near death in a nursing home I made time for him. It was a small payback I was privileged to make. Children often lose their ability to plumb the souls of people when they grow up. But when I saw Mr. Peck I became a child again for those minutes we were together and for a while I could look at the soul of that kind and gentle man through the eyes of a child once again. This is the sixth episode of a memoir that is unfolding, one chapter each month, here on True Stories Well Told. Stay tuned for more of the adventure as teenage Suzy’s family moves to Europe, builds a sailboat, and takes up life on the high seas circa 1961. Click here to read the earlier episodes. Each morning my brothers, sister and I walk the dusty road to the Quay with our swimsuits on and our beach towels over our shoulders. The Quay is a huge rock jetty built out into the bay to protect the harbor with a walkway to the lighthouse on the end. We spread out our towels next to the other tourists from France, Germany, Italy, England, Sweden, and Norway. Everyone lying along the Quay has his or her own version of suntan lotion. I smell sweet lotions made with honey and olive oil mixed with lemon juice. We are baking ourselves to perfection, rotating at intervals to keep the tan uniform. When we get too hot, we dive into the blue Mediterranean. I begin to recognize the young people arriving each day. I’d taken French with Mr. Blivens in the sixth and seventh grades, but I‘m not prepared for this “rapid fire” French. The differences between French and Italian or Spanish are difficult for me to grasp. I make a game of guessing which country someone is from before we introduce ourselves. Gesturing with our hands is our only form of communication. Daily we walk the other direction to Puerto, full of hope, for the correo (mail.) Sweat soaks the back of my shirt as we walk the mile and a half to Puerto in the afternoon sun. My white espadrillas (canvas loafers) are dirty and filling with dust as we walk along the gravel road. My brother Hank comes along with me because Mom won’t let me walk to town alone. Sometimes, Dad drives us if he has any errands to do in Puerto, but today he is on the other side of the Island working out the details for building our sailing boat. When summer is over, we will have to move to Puerto Pollensa. None of this matters now; I just want a letter from home. As Hank and I walk along, I can sense Mom watching us with her binoculars from the terrace of our house. She likes to sit on the veranda and watch the world go by. Heading to Puerto Andraitx, the bay is on our right and the rental homes and pensions for the foreign vacationers on our left. Suzie Wong, the movie star lives, just ahead. I remember Mom saying that Miss Wong’s latest movie was way too risqué for us kids, so I try to look in to figure out what makes her risqué. Then we pass the road to Bobby Summerset’s house. He is a world-famous sailor from England and a new friend of Dad’s. Mr. Summerset will soon sail back to England and my brother Hank will go with him. Hank is excited and Dad thinks it will be helpful if one of my brothers has sailing experience before we move onto our boat. The post mistress brings the mail to the café each day and sets up on a table. As we approach town the ka chunk, ka chunk of the old man working on paving the main street in town reaches our ears. His bones stick out he is so skinny. He must be in his sixties or seventies. On his head he wears an old straw hat he takes off, slapping the side of his leg with it. The dust cloud it creates makes him almost disappear. He moves along the pile breaking the stones with his sledge hammer ka chunk, ka chunk, he stops for a drink, and then he returns to his work. We have grown accustomed to hearing this steady, rhythmic sound while we wait for the mail. Today, it reminds me of just how foreign my new life has become. The post mistress arrives with the day’s mail in a bag. She doesn’t smile or greet us as she lays out the mail on a table. Forbidden to approach the table, we wait until she calls out our names. The extranjeros (foreigners) including us, sit at other tables waiting for her to sort the mail. Today we order Cokes while we wait, and I hope. She calls out the names on the envelopes. “Familia Chamberlin.” I race to pick up our mail, but she hands me only letters for my parents, another day of disappointment and tears. Why won’t just one of them write? Then the post mistress says something, “Hay un paqete para ustedes.” What? What does she mean? She sees my confusion and points to the back of the table. A package for ME catches my eyes! I see my name printed on it. It is from my girlfriend Pat. I’m overjoyed and excited, but I want to savor the moment and open it in private. Mom asked us to pick up bread at the bakery, so we head for the panaderiaand ask for two loaves, “dos panes por favor.” The baker takes our basket over to the counter. He puts paper in the basket’s bottom then puts in the two loaves with more paper over them. We pay with the Pesetas we are learning to use. Sweaty and dusty, on our way home, my mind is on my package. Back home at Villa Coleta, Mom takes out the bread and reaches under the paper in the bottom. I can’t believe my eyes as she pulls out a carton of American cigarettes. We carried contraband cigarettes all the way home! This is another custom I’m trying to adjust to, purchasing contraband items scares me. The Spanish government taxes any products not made in Spain, but some locals deal in contraband to please the tourists by selling products from other countries without taxing them, such as American cigarettes. We see the Guardia Civil (civil guard) everywhere. There are two who patrol around Puerto with their pistols in holsters. I’m terrified of them since Pat told us they can shoot to kill without questioning. “Maybe we can we can start where we left off? We left off with you dating Sandy at the same time you were dating me!” I scream into my pillow. With tears running down my face I hit my pillow in anger and disappointment. I pick up my annual and finish reading the notes from other friends. “Sue, Have lots of fun with the European boys and if you stay as you are, you will. Ray.” “Sue, I wish you could come back here, cause everyone misses you something fierce. Cindy.” I smile through the tears knowing I do have friends who care about me. The betrayal by John gives way before a growing urgency to move forward, turning on the radio I discover I recognize a song I’d heard for the past several days, even though it is in Spanish. I promise myself, I will learn to speak and understand this new language and I will accept the customs of this country. I will make new friends. Perhaps living in a house with a name might help me become a part of this new place. When anyone asks where I live I answer “Villa Coleta” with pride.